Good afternoon, ladies and gentlemen. As you know Minister Corrado Passera was supposed to be here with us today, a meeting he was looking forward to with great interest. He has asked me to say how sorry he was for not being able to come, and he promises to visit in January. We are, however, very pleased that another very important personality was in New York and that he accepted to come here and to be our Guest of Honor at this GEI luncheon, thus continuing a long tradition that has seen all of his predecessors participating in GEI Luncheons. I am, therefore, very pleased to welcome to GEI, Dr. Riccardo Monti, the new president of the Italian Trade Agency and the counselor of Minister Passera for internationalization. For the past 15 years, Riccardo Monti has managed the development and internationalization of the Value Partners Group, making a decisive contribution to its transformation in the primary Italian multinational professional services firm that now operates with approximately 3,000 employees in the 15 offices worldwide. He has worked with corporations and governments of over 30 countries, particularly in large emerging markets (Latin America, Asia, the Middle East), and also dealt with privatization projects on international expansion and relocation. Riccardo Monti received his degree in Economics from the University of Napoli. He did his research fellowship in International Management at Columbia University and received his master degree in Management of Technology at Brooklyn Polytechnic in New York. In 1990, he worked at GEC Alsthom in Paris as an analyst and member of the TQM group. Then in 1991, he worked for Federmeccanica in Rome as the Project Manager of the Logica project. In 1993, he worked at Logica Consulting, where he took on responsibilities in the area operations. From 1995-1998, Riccardo Monti worked at Booz Allen and Hamilton with increasing responsibility in Communications, Media and Technology. From 1999 to 2012, he served as Executive Director in Value Partners. Since 2007, he has been on the Board of the Robert Kennedy Foundation, with which he worked on projects in Eastern Europe and the Middle East. As of July 5, 2012, he is also vice president of Simest. As president of the new Italian Trade Agency, formerly Italian Institute for Foreign Trade, or ICE, Dr. Monti has a very difficult and delicate task. In past few years it is possible that ICE did not reach expectations of some people, mostly I must say because of the absurd bureaucracy they had to face and delays in the approval of all the necessary authorization. Instead of closing the organization, however, the government should have given it a renewed, more functioning condition. However this is already history. Fortunately, the present government realized this mistake and decided to restart the Agency on a new basis, calling on Riccardo Monti to restructure and relaunch the new Agency so that it is able to face the new challenges of the continuously changing global markets. I am sure that Riccardo will face these challenges with unwavering leadership, dedication and integrity, and that he will transform ICE for the better. 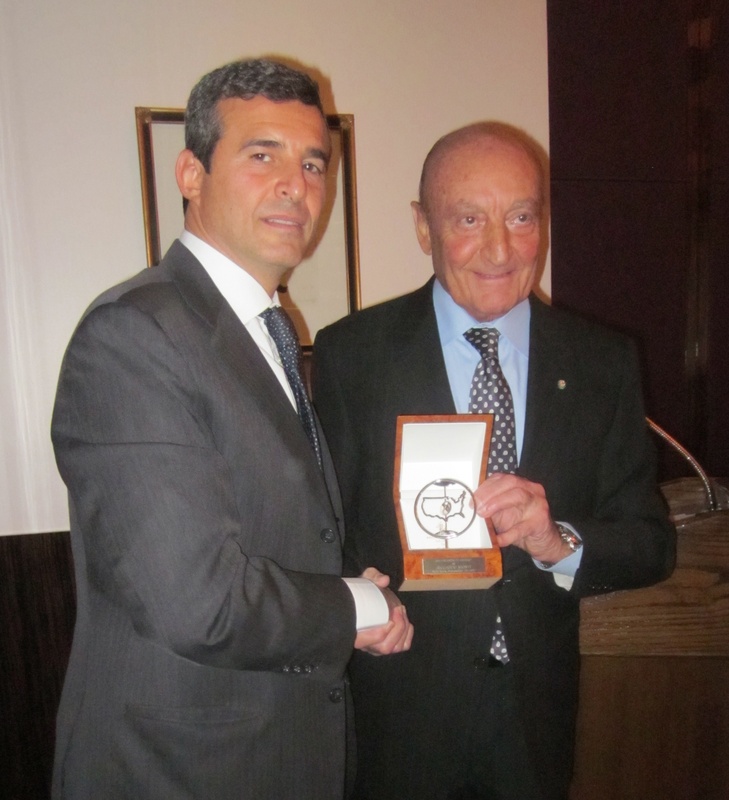 I am therefore very pleased to welcome Dr. Riccaro Monti and to present him on behalf of GEI with the “GEI FRIENDSHIP AWARD” in recognition of his many impressive achievements and of his promising new role. The luncheon was held on December 13, 2012 in the Stella Private Room of Le Cirque restaurant in New York City.